Windows XP is one of the users' favorite operating systems developed by Microsoft. It was launched in 2001 as the successor of Windows 2000 and the professional Windows NT, and there are still many people that prefer it to Windows Vista. The main reasons for this are its good general performance and its limited use of computer resources. Since it was launched, Windows XP has had three important update packs, called Service Packs (SP). Windows XP SP2 is the second of these updates, a collection of security patches, error fixes and improvements to its performance and stability. The innovations that the second Service Pack for Windows XP includes, improve it greatly and have a lot to do with the loyalty that most users of this operating system have towards it. Among them, one of the most important new things that it includes is the default firewall for the operating system, that controls the inbound and outbound connections between our computer and the Internet. 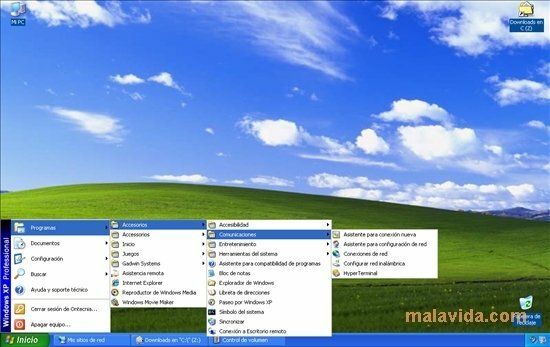 You can also notice the improvement to the performance, to such an extent that some applications will not work properly if you haven't installed Windows XP SP2 on the computer. An essential and even compulsory update for Windows XP for those who still enjoy this version of the Microsoft operating system. This download is compatible with Windows XP, Windows XP Home Edition, Windows XP Media Center Edition and Windows XP Professional Edition. Can't be installed on Windows XP that has previously installed a later Service Pack.